Springtime almost always guarantees a few things: warmer weather, flowers in bloom, more sunshine, and…Alaskan Halibut Season! At Joe’s Seafood, Prime Steak & Stone Crab we make a holiday out of halibut season and while the season runs until November, it’s the beginning of it (i.e. RIGHT NOW) that we’re most excited about, as the Alaskan Halibut is at its peak flavor. 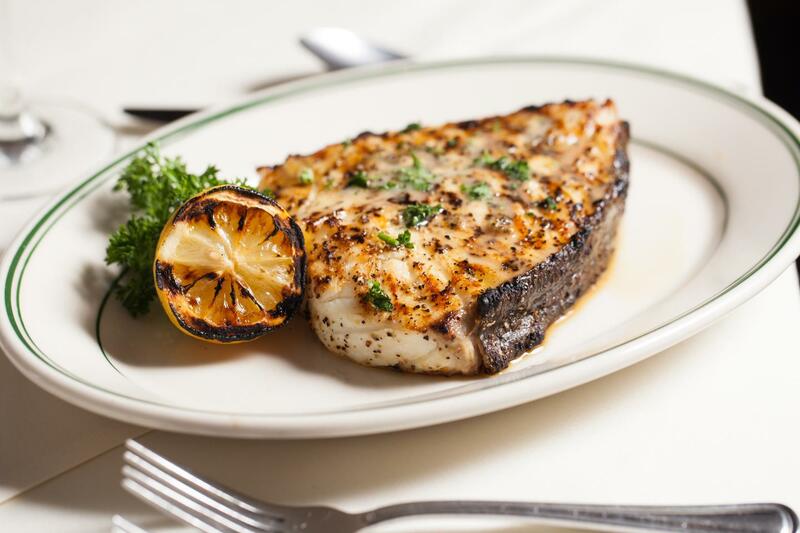 Prized for its delicate sweet flavor, snow-white color and firm, flaky meat, Alaskan Halibut is one of the most popular fish dishes served at Joe’s. Offered as a T-bone cut, Joe’s lets the fish speak for itself with simple seasonings of lemon pepper and lemon olive oil before it gets a quick broil in the oven. And, just in case you were wondering, in addition to being delicious and with few bones, it’s also an excellent source of amino-acid rich protein and minerals, and is low in sodium, fat and calories. This insanely flavor-packed fish comes to us through the Alaska Department of Fish & Game, an organization that oversees the Alaskan waters and is considered one of the best in the world in oceanic regulation and conservation. Diligent in their conservation efforts of halibut, they have implemented fishing regulations for the winter months to ensure the halibut can continually be sustainably caught year-after-year. Bone-in Alaskan Halibut is now available at all three Joe’s locations. Be sure to stop in and enjoy a taste before it’s gone! Pair your halibut with The Clevelander cocktail, watch how to make it.